Heading to the nearest juice bar with your squad, after a tough workout? Put on a Zelocity women's jacket and walk in style. These Zelocity women's vests and jackets don't just score high on the style factor with contemporary prints and sleek fits, they are also super soft and feather-light by design. 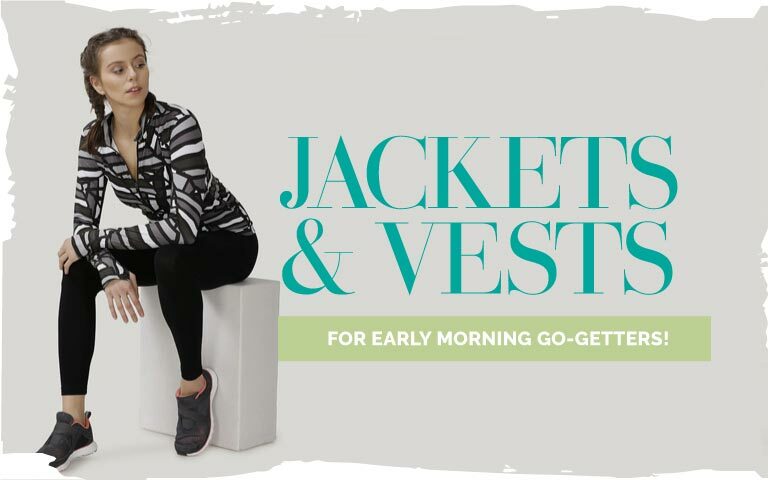 What's more, they can keep you odour-free and unlike other bulky women's vests and jackets, they are designed to keep you dry with their insta-dry fabrics that wick away moisture easily. Get these must-have Zelocity jackets for women only on Zivame!